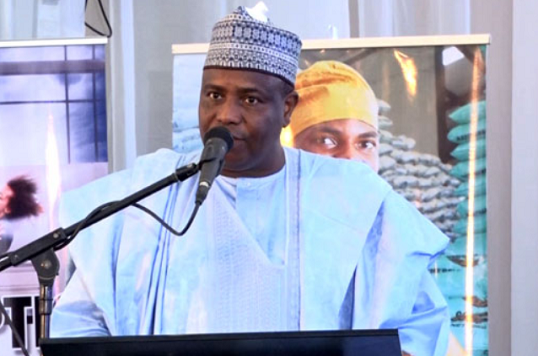 Sokoto State governor, Aminu Tambuwal said the situation where the country is run by proxy would not be acceptable after May 2019. This is even as the former Chairman of the National Caretaker Committee, Senator Ahmed Makarfi said PDP was victorious at the Port Harcourt National Convention that produced the party’s presidential candidate in Port Harcourt, Rivers State and not an individual. The duo who were aspirants at the convention spoke yesterday when they received PDP governors led by Bayelsa State governor, Seriake Dickson on a reconciliation mission. The committee, which included Delta and Taraba State governors, Ifeanyi Okowa and Darius Ishiaku, respectively, said it would visit other presidential aspirants. Tambuwal stated that the way the country was being run through proxies must come to an end next year. “We want whereby the president of Nigeria will be hands on issues of good governance, respect for the rule of law and the way this country is governed. “So, I have given my commitment and I mean it, I am out for it. By the grace of God, we shall support Atiku Abubakar and PDP to win elections throughout Nigeria,” he promised. Tambuwal said he has made a commitment immediately after the convention to support the party’s candidate and said he was not going back. “So, I am not wavering, I am not looking back. Work has started for us to ensure that the PDP family remains united and other lovers of democracy come and partner with us for us to ensure that we convincingly win this election. “It is not about my personal ambition. It is about this country. And all of the issues we have discussed, canvassed and traversed for during our with delegates and party leaders, have remained there,” he added. Makarfi on his part said he would not be greedy to say that PDP would win all states, but expressed confident that the party would win majority of the states as well as control the National Assembly. He said that while they went into the convention as aspirants, they emerged collectively as a party. According to him, he had long years of national and political relationship with the party’s candidate, Atiku Abubakar which had not changed, and said that the PDP would be victorious in the 2019 elections. Dickson commended the spirit of maturity and sportsmanship displayed by the aspirants after the Port Harcourt Convention. He disclosed that the visit was part of the decision of the PDP to visit and interact with all presidential aspirants in the last election with a view to encouraging them as leaders of the party in their own rights. Dickson said the Independent National Electoral Commission (INEC) and the security agencies have a responsibility to ensure the conduct of free, fair and credible elections in the country.